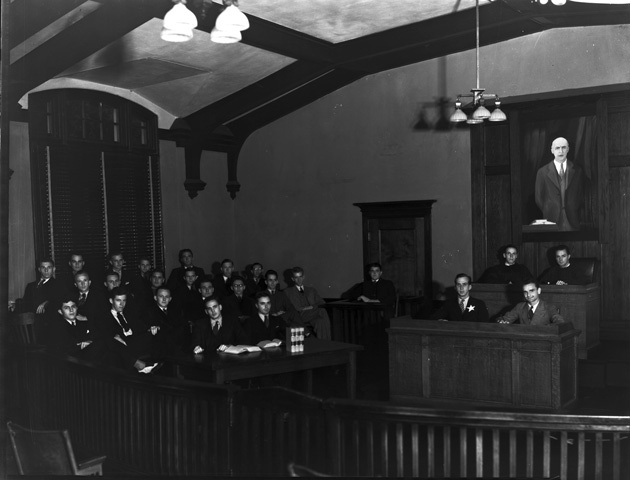 ﻿ Courtroom scene in Bryan Hall on the campus of the University of Florida. Courtroom scene in Bryan Hall on the campus of the University of Florida. A College of Law Moot Court in Bryan Hall on the campus of the University of Florida. Photograph 503 from the University Archives Photograph Collection.